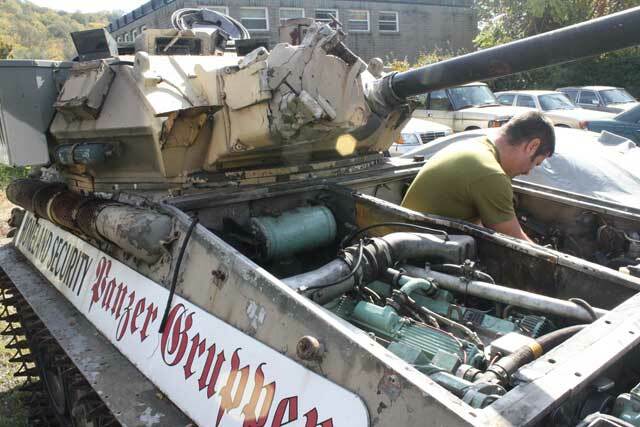 Cincinnati Motor Car, an independent car repair facility in Madisonville, Ohio, got the nod to get another British armored vehicle running. 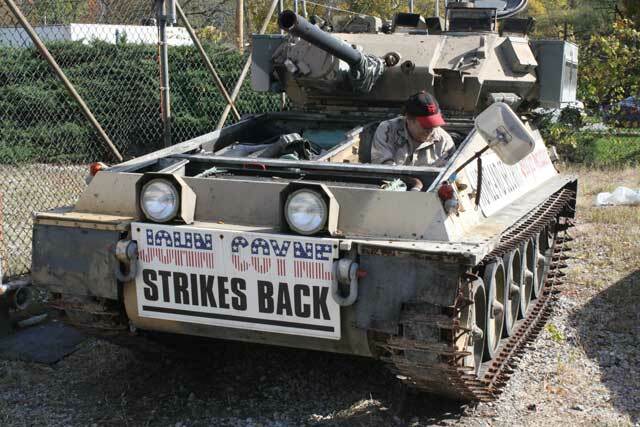 Earlier this year they brought a Ferret scout car back to life, and this time it's a Scorpion tank that needed a helping hand. This tank belongs to the famous (or infamous) John Coyne, a notable Cincinnati figure that made a big splash back in the 60's and 70's with his armored vehicles, which he used to indicate his displeasure with Clermont County's legal and political bosses. You can read more about him here, if you can get past Cincinnati.com's paywall. One of his tanks made an appearance in the movie "Blues Brothers". 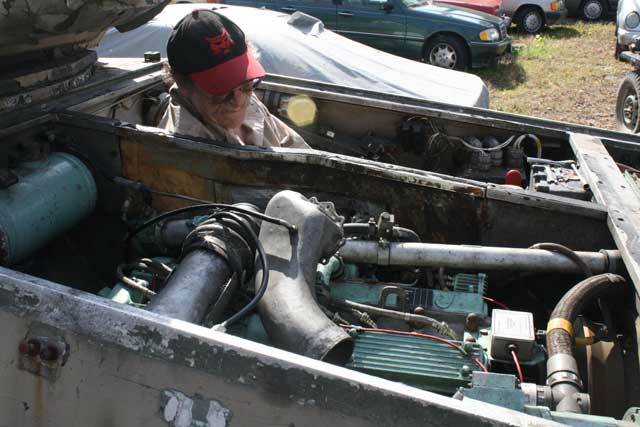 I used to hang out in his junkyard when I was 16 scavenging parts for cars, and he would roar up and down the hill of the yard in an old army halftrack. The Scorpion was an armored tracked reconnaissance vehicle for the British Army. It was powered by a 4.2 liter Jaguar car engine, had a 100 gallon petrol tank, inboard disc brakes, 76mm gun, aluminum armor and a commode under the driver's seat. The tank served well in the Falklands War, and towards the 90's was fitted with a Perkins diesel engine, just before being drummed out of service with the British. 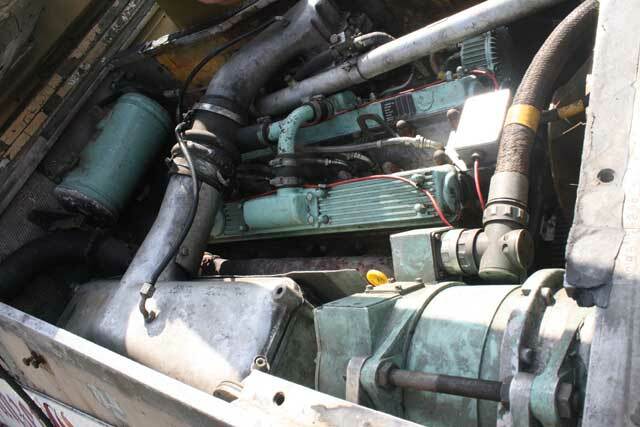 Diesel engines are the ticket for war fighting machines, as they aren't as hard to set alight as gasoline ones are. A new engine has just been installed this week in this particular Scorpion, and when I was there it was just getting sorted out. This vehicle has it all, British armor, Jaguar engine and street legal, just the thing for an anglophile car guy.